Discover how heartfulness can change he world! My granddaughter and I have been looking forward to the next Dynomike book, and as soon as we opened it we were greeted by our favourite character, Dynomike, and his friends. The rhyming stories and way it is so wonderfully illustrated captured her interest, and I think it is a great way to introduce children to books and reading. In this book ‘What’s Heartfulness’ the friends are concerned when they visit their friend Jack Brussels and he is sad. His mother is sick and no-one knows what to do to make her better. Jack tells them he can’t play that day and to leave them alone, but being good friends his pals set their heads together, desperately trying to think what they can do to make things better. It is Dynomike who comes up with the idea of spreading heartfulness. What is heartfulness? Well it is being kind, spreading love and caring from within yourself and showering it on others, doing kind deeds, thinking kind thoughts… being, well nice. So, while Jack’s mom is asleep the friends in secret take her heartfulness, and when she wakes up – well – you just have to read and see for yourself the wonderful changes spreading heartfulness can make! And Jack, well with his mom better, he’s off out to play, but when he asks his friends what they did the previous day – they just wink. This is yet another wonderful book spreading the word of love and caring and how little deeds can make the world of difference to people, and what’s more, when you have finished this story, the author gives you another one free! A lovely story which will enchant children and encourage them to become caring and considerate people. Frankie B. Rabbit is the creator of Dynomike. He was born and raised in New Jersey where he spent most of his time creating rap music. Frankie decided to write children’s books. 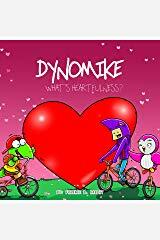 He then started “DYNOMIKE” – a children’s book series with fun rhymes, vibrant illustrations, memorable characters, and stories to help kids learn life lessons while enjoying our fun stories. We hope you enjoy the books as much as we did to create them! “Heartfulness is about being kind. Send kindness to all, one thought at a time. Heartfulness is being kind to yourself. harmony back to their world. 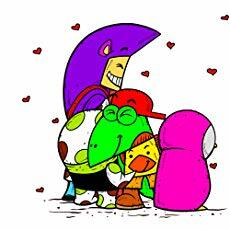 how they can make the world a little better in those unsure times, just by opening their heart.